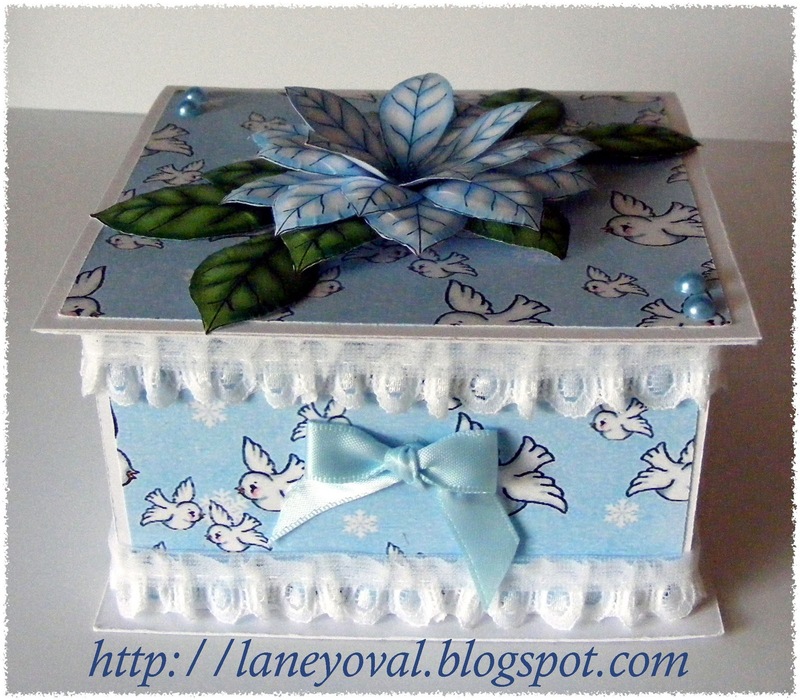 I have made a card and a notelet box using Bearlymine Christmas Glee Collection and also a Blue Ponsietta set from' Fred She Said', I used a stamped sentiment cut out with nesties, added some lace, ribbon and pearls to finish off my project. Wow, what a wonderful card and box! 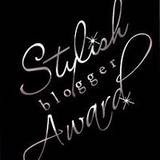 Thank you for your lovely comment on my blog. Merry Christmas! Laney wow just stunning!!!! my fav colour!!! This is absolutely gorgeous. I love the colors you used. Thanks for joining us this week at Christmas Card Challenges. What a fabulous set, love the soft colors! Thank you SO much for joining us at The Squirrel & The Fox and Make It Monday for our challenges. WOW! beautiful card set. Thanks for joining CCC this week. Such stunning creation. They are really lovely. Just wonderful! Beautiful gift set Laney. love the gorgeous blue,your flowers and paper are just beautiful, very pretty. A very nice gift box, great papers, beautiful colors. Laney both of these creations are lovely. I am so glad you entered the little Christmas box into our challenge at Unstampablles. That flower is so pretty. WOW ... what a beautiful set! Great job! Thanks so much for joining us at The Sisterhood ‘CHRISTMAS’ challenge and please come back again soon! What a beautiful gift box! I'm so glad you were able to join us at Bunny Zoe's this month! WOW, this is a wonderful card and box!!! Love the poinsettia and the beautiful colours! Thanks for joining us this week at CCC and I hope to see you again next challenge. Happy Holidays! 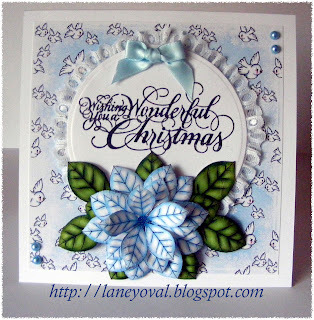 Wow.. this is stunning.. love your blue Poinsettia.. and that note card box is gorgeous. thanks for sharing on MIM..
What a beautiful set Laney! I love the box and to receive a matching set like this would be wonderful! Just gorgeous! Thanks for joining our challenge at Friendship's Garden. Wow Laney this is stunning that card and matching box look so very beautiful. I would like to wish you and your family a wonderful Christmas and New Year. GORGEOUS card! LOVE the die-cut pointsettia! Thanks so much for joining us, this week, at DYSU! Wow! Both card and box look gorgeous! They are really stunning! Thank you for playing along with us at Fairy tale challenges! Lovely creations!! The sentiment is beautiful and the flowers, absolutely perfect! Thanks so much for playing along with the Sisterhood of Crafters Christmas Challenge! Beautiful projects! Thanks for joining us this week at Friendship's Garden! Hi Laney, what a beautiful card and box. 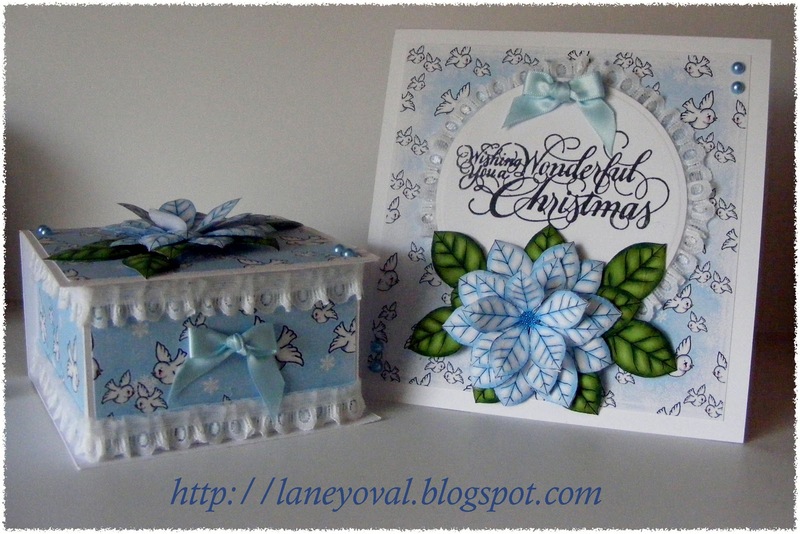 I love the paper and the gorgeous blue poinsettia - stunning! The Bearly Mine papers are delish! Thank you so much for joining us in our Christmas Season challenge for Squirrel and Fox! Good luck! 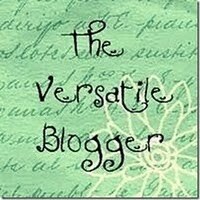 Come visit my Crafting Blog! So gorgeous Laney, love that sentiment. Hope you had a great holiday, thanks so much for playing at Friendship's Garden, hope to see you again next time! Simply Stunning! Beautiful project perfectly executed! Thanks so much for playing with us at Friendship's Garden! 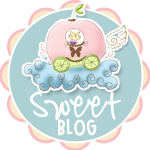 Wow!, I have just found your blog. It is absolutely inspirational! I have joined you as a follower and will be having a long read over coffee this evening. Such a pretty collection. I love the layout of your card and the colors. Thanks for joining us at FG. All of the excitement of the past week or so has put me well behind, sorry my comments are late. I hope your Christmas was as good as mine and I would like to take this opportunity to wish you and your family a very happy New Year. such pretty bird images! Great cards! Thanks for joining our challenge over at FGCB!